In addition to the Kicks on Cards Weekly Recap on Fridays, which features the week's selections from the Kicks on Cards main page, each week there will be a single "Card of the Week." I'll be going into my archives and picking out some of my favorite finds to share with you. 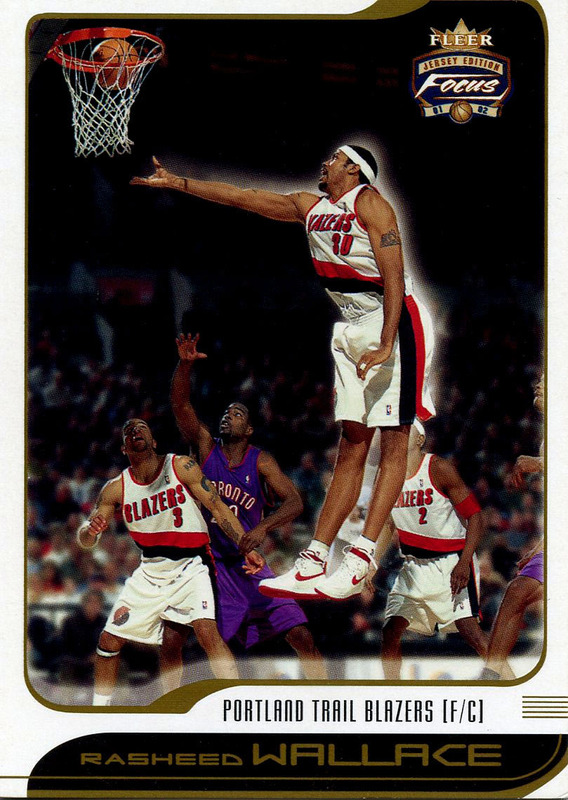 Here we have Sheed (who just had his 37th birthday last week) back in his Blazer days laying it in wearing one of his classic Air Force One Player Editions. Say what you want about him, but I don't think there's any sneaker fan who doesn't appreciate Rasheed rocking the classic Air Forces for almost his entire NBA career. Sheed would later wear this same White / Varsity Red colorway with the Pistons, but by then he wasn't utilizing the ankle straps, instead choosing to let them dangle at the back of his heels. Sadly, Rasheed Wallace's playing days are over and we no longer have an Air Force ambassador in the NBA. We can only hope that some player out there will take over where Sheed left off and play in the Air Force Ones!